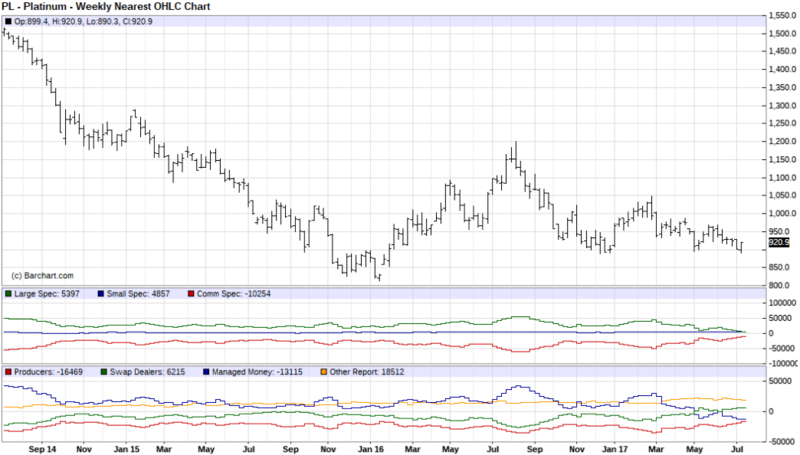 A Perfect Storm Is Brewing For A Precious Metals Rally | Energy and Gold Ltd.
Large spec positioning in gold futures hasn’t been as low as it is now since the last week of January 2016. Perhaps more importantly swap dealers have moved to their largest net long position in gold in history (more than US$5 billion in net notional length). Swap dealers are market makers in the OTC swaps market, they are banks that enter into swap agreements with clients for a fee and/or a spread. Swap dealers can also trade for their own book, and often do. Given that most swap dealers are using gold and silver futures to hedge swap agreements with counterparties whose natural tendency is to hedge against declines in precious metals prices (mining companies), it is normal for swap dealers to hold a net short position in gold and silver futures. Therefore, it is unusual and noteworthy when swap dealers move to a net long position in precious metals. 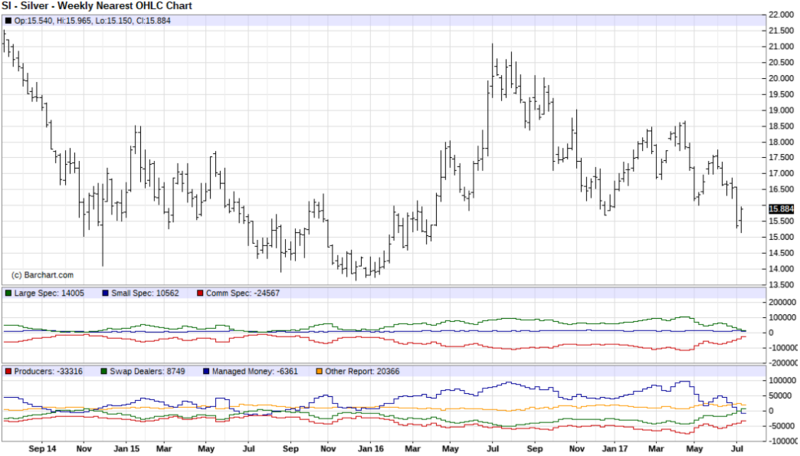 Large specs in silver futures have moved to their smallest net long position since late 2015, when silver was putting in a bottom and on the verge of rallying ~50%. 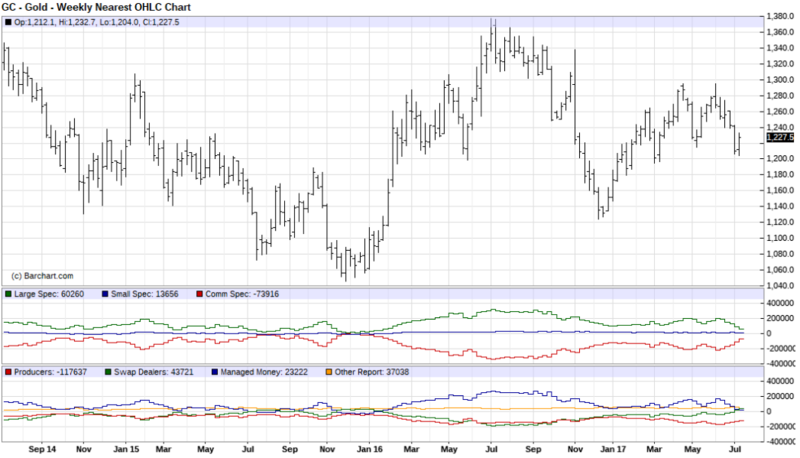 Another notable aspect of the recent CoT data is that both gold and silver futures open interest has increased for the last few weeks as non-commercials (speculators) have reduced net length. This is indicative of fresh short positions being opened as hedge funds, CTAs, independent traders, etc. pile on bearish bets in the hope that the recent declines will continue. These are ‘hot money’ short positions that could quickly turn into a short covering stampede in the event of a price reversal (which we began to see on Friday). Precious metal prices have held up relatively well given that a substantial liquidation has taken place over the last several weeks. Moreover, the recent lows in gold ($1204) and silver ($14.33) were put in place amid numerous bullish technical divergences. From my perch the current market dynamic in precious metals looks like a perfect storm for a rally; it’s rare for so many factors to line up at once like we are seeing now. Throw in bullish seasonal tailwinds which should kick in over the coming weeks and it looks like a great time to be a buyer of gold, silver, and platinum.